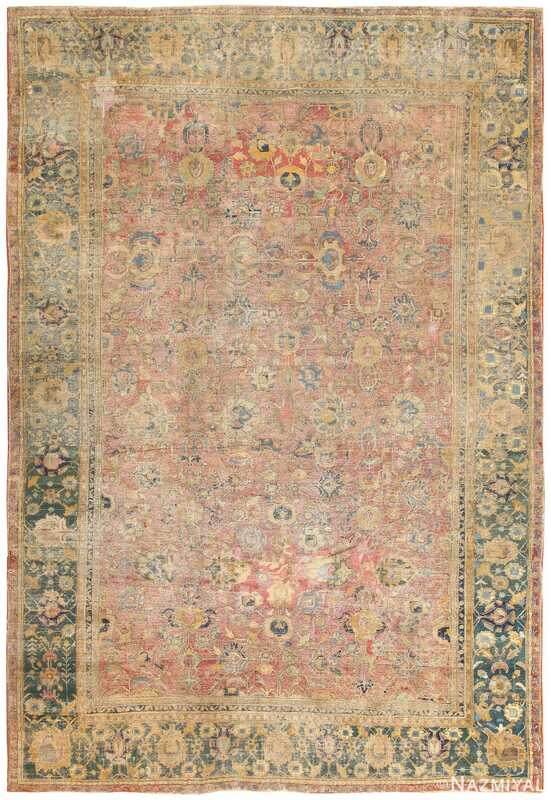 Antique Isfahan Rug, Persia, Early 17th Century — With a suggestion of abrash, the large, elegant Isfahan rug displays a red field populated with interspersing and interlocking, bold, floral designs in vibrant yellow, blue, white, black, brown, golden and silver colors. 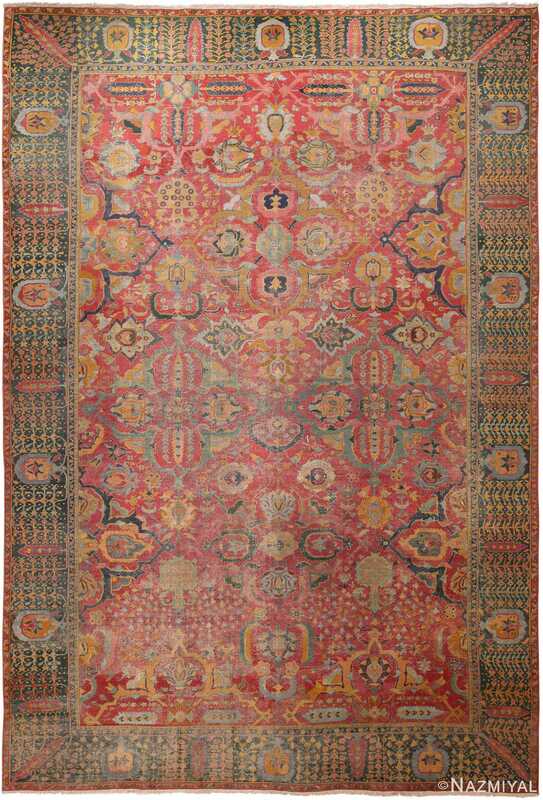 A very broad green border depicts a scrolling floral motif in golden, blue, silver and red tones. An inner narrow guard border in black and a narrow outer red guard border repeat the scrolling patterns and golden floral motifs. 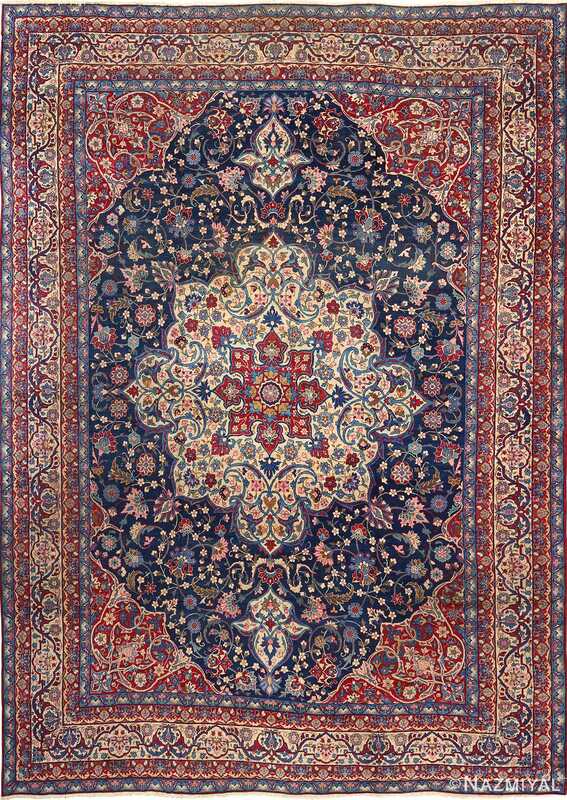 Isfahan, today still a renowned center for the production of beautiful rugs and carpets, maintained a vibrant cultural life during the 17th century. Antique Isfahan rugs attract numerous collectors due to the high quality and intricate composition of these furnishings.